Welcome to Day 96 of 100 Days of Disney here on The Purple Pumpkin Blog! Be sure to check out all of the other posts in this series, and if you would like to share your own Disney blog posts or pictures, make sure you check out our #100DaysOfDisney Link Party! It’s the final Friday during #100DaysOfDisney so it’s time for Disney Fashion Friday! You can’t visit Walt Disney World without buying a pair of Mickey or Minnie ears to wear! 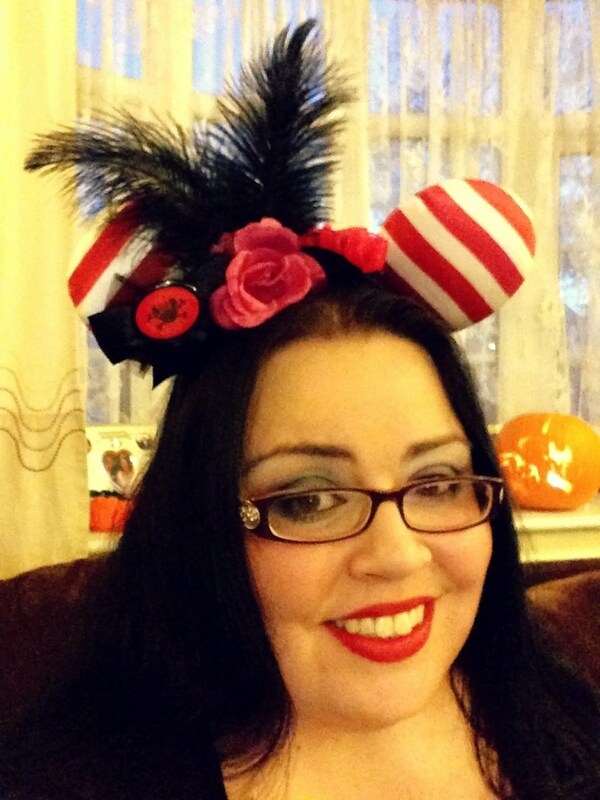 I have zero shame on holiday, and wear my Minnie ears all the time!! I have a classic pair with Minnie Mouse’s trademark red and white polka dot bow, but I also have an awesome pirate themed pair as well! I’ve put together a set of the various Ears that are for sale on the US Disney Store website, but I have seen different ones for sale in the stores around the World. Day 96 of #100DaysOfDisney is done – 4 to go!